Hi all , I’m after a Dremel multi tool for a few jobs I need to do , so are Dremel the best or is there another make that is as good but cheaper or better than a Dremel ? And is corded or battery best ? Looking for advice as I’ve never used or owned one and don’t want to get the wrong one. I’ve had the black and decker equivalent for years - it’s been great. Mostly I’ve used it for porting and it’s taken all sorts of stick and handled it. Its interchangeable with all of the dremmel tools too. That’s one of the jobs I’ve got to do , cheers Anderzander will have a look at that one. I got a draper rotary multi tool £20 off fleebay and its easily outlasted a handful of Dremel units I've had. I mainly used them with the quickclick cutting wheels so give them a hard time, dremels didn;t seem to like that. The draper thing seems to be holding up pretty well and super cheap too. I'v had a couple of B&Q knock-off versions which are OK but a genuine Dremel is nicer, feels smoother and more robust & powerful. Bit like a cheap angle grinder Vs a Bosch Blue. If you have air, a simple cheap die grinder is a great tool, robust and lighter, and will do bigger stuff when asked as well. The only downside with air is the size of compressor die grinders use - you seem to need some fairly hefty cfm. This is the one I've got my eye on but still saving! As recommended by other car peeps - sort of more durable slightly bigger brother to dremel - reads up well but as for 'in practice' no personal knowledge yet! Cheers all , have an air one but the compressor is old and not that big, like the look of them PaulN just found one on eBay for £80 no bits with it though. I have a Lidl mains powered one, which has stood up to my light use fine. For my level of use, a cheap one with 3 year warranty is great. Note that they have a battery powered one in the middle isle at the moment, but don't know how good it is. Sure I've seen one with bit selection somewhere as an offer - dunno now! Proxxon are good kit, they're mostly about very fine / miniature work (EG model making, jewellery, etc.) so can look like "toy" versions of bigger tools but they're still proper quality. Unfortunately they are priced accordingly! My CNC micro-mill is Proxxon, it was used for cutting keys before I got it. I have a dremel from over 20 years ago and its been great, however the modern ones seem to get a bit of a slating and people seem to rate the Proxxon or just the really cheap ones you get from places like lidl. 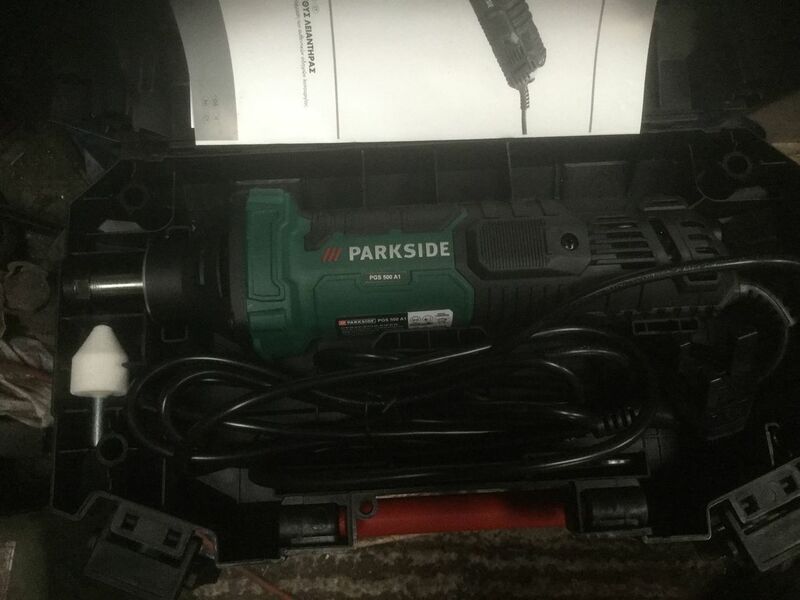 I wouldn't go battery personally as it's not something I use often so whenever I wanted it it'd be flat unless it has common batteries with your drills or something. If its for bigger work like porting have you considered the bigger die grinders that people like bosch make. Might be more up to the job? 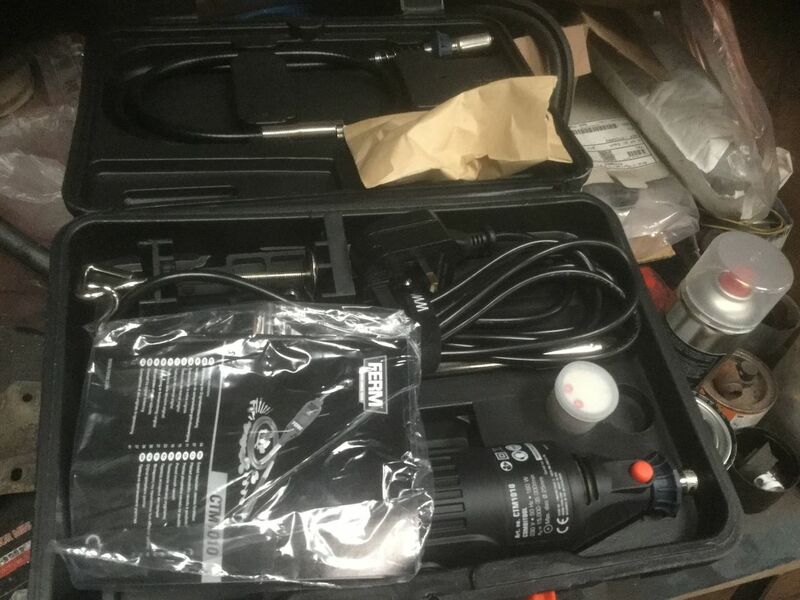 Looked at Dremels as they were recommended in the guides for porting I’ve read , I’ve got a air die grinder but the compressor isn’t up to the job, once the project is finished ones on the shopping list . But something small to do little jobs is what I’m after at the minute, but lots to think about here cheers all . ive used a dremel (or several) for porting.. When I went to DVAPower for my FL lump he had a selection of serious mains-powered tools (like these) for porting - die grinders and I think one remote-head one as used by jewellers (the motor part hangs up above you, the business end is on a long flexi shaft). I wouldn't try any serious porting with a Dremel or similar, they're really not designed for those loads. My experience is that they are OK on Alloy. I'd agree with Fridge and Bowie though - the Dremels aren't really made for heavy work. Mine has been great when treated with respect, but it has been back for repair after I used it for a heavier job (to be fair, probably well outside it's design parameters - I made up a little jig for cutting bevels on the edge of plaster and plasterboard after some builders didn't bother doing the wall corners in our hall properly. Messy but effective. Until I burned the bushes out...). Dremmels are a mere shadow of what they used to be. We have a occasion Al job we use them for at work, (yes I know they aren't industrial grade products) and they rarely last 3 months each. Luckily RS Components honour the warranty despite the used. The trouble is they've become too cheap to be made of any substance, and finding alternatives is not straight forward. For porting I'd say you want something that take 1/4" shank tools, rather than delicate 3mm. There are a few mains powered versions and the have a good length of nose to get in awkward spots. Proxxon are great but I'm not sure they do anything man enough for head porting - they're more about model-making or watch-making sort of gear. Well after hearing all the advice I decided to buy both, neither very expensive I’d have loved to buy a blue Bosch die grinder but £300 is better spent elsewhere at the minute . should get the job done .